Professor Veryevil pointed the gun at Shirley Knowsalot. "And why shouldn't I just kill you now?" asked the professor. "What about your shtick where you always give the hero a math puzzle that they can solve for their freedom?" responded Shirley. no integer appears more than seven times." "What if I think that's impossible?" asked Shirley. "Umm, well ... give me a proof of impossibility then. But it better be correct ... or else!" (awkward pause) "To clarify, the 'or else' means I'll shoot you with my gun." "Could you be quiet and let me think?" responded Shirley. How should Shirley respond to the professor's challenge? Suppose that we have a chessboard with the desired properties. Find the greatest number in each row. Out of these numbers, let the smallest be $m_i$ in row $i$. Find the smallest number in each row. Out of these numbers, let the largest be $n_j$ in row $j$. Row $i$ contains only numbers that are at most $m_i$. Row $j$ contains only numbers that are at least $n_j$. Every row contains a number greater than or equal to $m_i$. Every row contains a number less than or equal to $n_j$. If a row or column contains numbers $x$ and $y$, it must contain all the numbers between $x$ and $y$. If $m_i\ge n_j$: Every row contains a number at least $m_i$ and a number at most $n_j$, so it must contain $m_i$, $n_j$, and every number in between. They appear at least eight times, a contradiction. If $m_i<n_j$: Consider what happens in each column as you move from row $i$ to row $j$. You must pass from a number that is at most $m_i$ to a number that is at least $n_j$, so these two numbers (and every number between them) must occur in every column. Therefore these numbers appear at least eight times, again a contradiction. Therefore no such board exists. Not sure how to properly explain it, but it's impossible. no integer appears more than seven times. 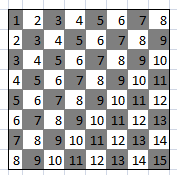 Since there are 8 x 8 cells on a chessboard, and I'm disallowed to have a difference more than 1 for each adjacent cell (your first rule), the middle diagonal will always have 8 times the same number, which breaks your second rule. I believe it is impossible. In two simple scenarios, we can see why this creates an impossibility. Start from a corner, then have each diagonal outward be an increasing number. At the main diagonal (8 squares) we reach the impossibility. Another scenario is to fill in the first column with 1's, up to 7x. The next column will have 2's (7x), but that leaves the square below the first column unfilled. It can only be 0 or 2, but since we have 7x 2's that's out, and a 0 means that below the 2's we need an eighth 1. Hence an impossibility. 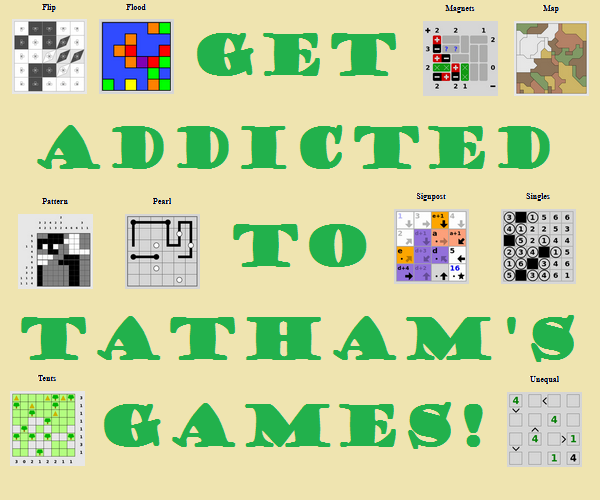 It's impossible because there are 8 square across, 8 squares down, and 8 squares diagonally. 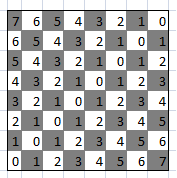 Therefore even if, for any square, none of the adjacent squares contained the same number, you would require at least 8 instances of at least one number, therefore there is no solution. Not the answer you're looking for? Browse other questions tagged mathematics checkerboard or ask your own question. Wait wait wait wait… 1=0?